The 8th installment of the USA Rugby Emirates Airline Women’s Club Sevens Championship may be the most open one yet. With an even mix of familiar faces, some new, top sevens teams from coast to coast are now en route to New York City. Last year’s champion Seattle Atavus, playing under a different banner: Washington Athletic (WAC) return to defend their 2017 title. The pools are all evenly matched, and making it out of the opening stages will be a feat in and of itself. While still a relatively new program, Life West Gladiatrix have proven to be one of the most dominant teams in the country. They have been undefeated in fifteens since 2016, and signs are pointing toward them being just as impressive in sevens. This year in qualifications, they were able to finish atop of the Pacific North seeing off Washington Athletic in the Pacific North Championship, 24-12. They finished third last year, and undoubtedly will be motivated to go out and take more than the bronze this weekend. By securing the sevens Championship, they will become the first women's team to win both the Division I title in fifteens and the sevens national championship in the same year. While history may not be on their side talent certainly is, with four capped Eagles and three collegiate All-Americans rostered, they'll be an imposing team to whoever they face. As the adage goes, good things come to those who wait. For the D.C Furies, that has certainly been the case this season. After falling just short of winning their opening two qualifiers, in the Mid-Atlantic region, they were able to right the ship, and put it all together in their final tournament. Although the damage had been done, in terms of seeding implications, the Furies are confident coming into the weekend on the back of such an impressive display their last outing. What makes the Furies even more threatening this weekend is not only has their team been causing a furor, but individual athletes have also been in fine form; notably Lauran Glover who tallied a trio of tries in the WPL All-Star Game. The Furies could be one of the big surprises in 2018. In their inaugural year, the Rocky Mountain Magic have made their way into the National Championship, via the Frontier's sole women's qualification spot. The Magic are probably the hardest to judge going into the tournament. Reason being, they have only played one tournament, and in that tournament, they only played three games. While they have not had an abundance of playing time this year, the Magic's roster is stacked with talent. Their roster has four former college stand outs, including three All-Americans and a WPL All-Star. With limited time under their belt, consistency will be the key to seeing how far the Magic can go. Rounding out Pool A is Phoenix, a team coming into the tournament after a two month hiatus. They snagged the second qualifying spot in the South, but were competitive with the first seed, Atlanta Harlequins, throughout the process. Delays of such significant stature can be a blessing or a curse, as it allows players to rest, heal and familiarize themselves with the systems more, but lack of competitive play can cause rust and lack of match fitness. It will be interesting to see how Phoenix responds to their delay. One of the most decorated women's sevens programs of all time, the San Diego Surfers will be hoping to go one better than last year, and become the first women's team to win three sevens national championships. They have been in vintage form this year, breezing past their Pacific South competition without much of a thought, winning both qualifying tournaments without dropping a game. They are led by three capped Eagles in Megan Foster, Hunter Griendling and Tia Blythe, with a battery of collegiate and WPL standouts right behind them. They'll be a favorite to win it all, but at the end of the day... It's still sevens. The Chicago Lions have been a constant presence on the national sevens circuit, but have been unable to advance from the quarterfinals. That could change this year. The Lions have been in fine form this year, qualifying first in a competitive and evenly matched Midwest competition. They recovered from a minor hiccup in their first tournament to run the table and eventually win the Midwest Championship. They'll face a tall order getting out of their pool though, as there is a total of four national championships within their pool; but with the run of form they're currently enjoying, the Lions won't be fazed. Two-time sevens National Champion, the Berkeley All Blues enter this weekend as the third seed from the juggernaut that is the Pacific North. It has been a while between celebratory drinks for the All Blues, with their last championship coming in 2013, and their last semifinal appearance coming in 2015. However, after playing against some of the best teams in the country over the past few months, they'll feel poised about their chances of going on another run. There is a healthy balance of experience and youth in this team, which will serve them well. If the All Blues can make it out of the pool stages, don't be surprised to see them go on a deep run in the tournament. American Rugby Pro (ARPTC) qualified two teams into nationals this year the Blue, and White team. The White team finds themselves in Pool B. They arrived by virtue of qualifying as the second team in Red River. ARPTC White will be looking to make up for their just shy of legendary ending to the qualifying season, where they were unable to reach the championship game of their final qualifier. After finishing second and first, respectively, in their first two qualifiers ARPTC White were unable to find their way back into the championship round of the final Red River qualifier. The APRTC's White team has shown what they're capable of, but this weekend it come down to their ability to harness their potential. If they can do that they could very well be the second team to bring a National Championship back to the ARPTC headquarters. The reigning champions are back, albeit under a different banner this year, as the women from Seattle look to bring Washington Athletic some silverware. The team is packed to the rafters with talent including capped Eagle, Kristine Sommer, and a contingent of players from last year's championship squad returning to the mix. Not only does the team have returning talent, but they have one of the most experienced squads in the competition. The average player on WAC has seven years rugby playing experience, some have had a decade long career. With such a matured and well-seasoned side, don't be surprised if they start to pull away from teams in close games at the death, as their knowledge becomes an invaluable asset. They are one of the big contenders to walk away with the championship this weekend, and rightly so. Acting as the sole representative of the Empire State on the women's side of the competition is, the Northeast's number-one seed, New York Rugby Club (NYRC). It has already been a successful season for the women from the Big Apple, as they have run through their qualifying season undefeated and hardly conceded any points. While their best finish to date was last year, when they finished fifth, they look primed to take the competition by storm this year. They are an intimidating team as a whole, but they have some individual standouts including Eagle, Jessica Davis, and 2017 WPL MVP Gio Cruz. Things have seemingly clicked for NYRC thus far and they will be able to gauge just how much they've developed in their final game of Day 1 when they take on WAC. That match could easily be a preview into the final of the women's competition on Sunday. Pool C could easily be considered to be the toughest pool in the competition with based off of having WAC and NYRC alone, but throw the Atlanta Harlequins, winner of the Southern region, into the mix it pushes the debate beyond a doubt. The Harlequins find themselves against some stiff opposition early on, however, if there is a team capable of handling a challenge like this it's the Harlequins. This weekend will mark their fifth entry into the national championships, and they'll be hoping that they'll be able repeat and improve on their efforts of 2013 where they finished fourth. If they are to stand any chance of doing so, they'll need to rely on the likes of their WPL All-Star Monique Compito. The electrifying center will be the key to igniting the Harlequins offense, if she plays to her full potential the Harlequins could cause havoc to anyone they come up against. Historically, Northern Virginia Rugby (NOVA) has been one of the top teams in the country, making it to the semifinals in each of the first four years of the tournament; however, in the ensuing years they have not been able to reach the same illustrious heights. 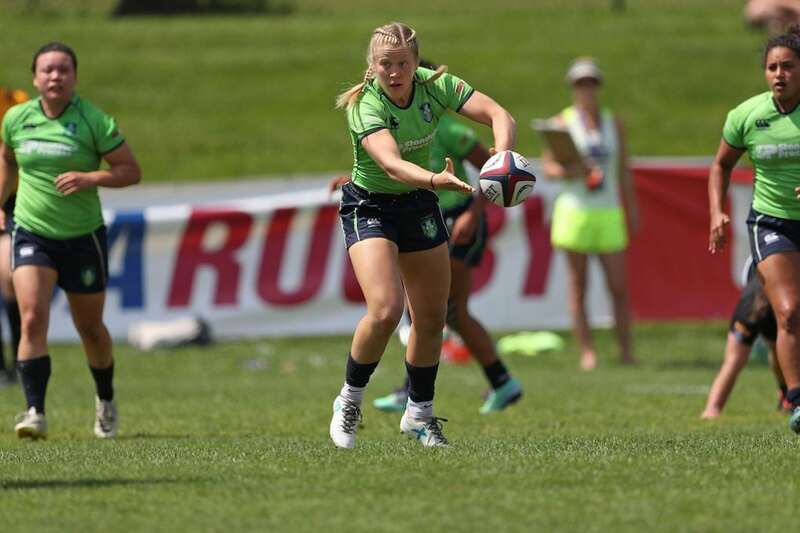 If they are to reach the semifinal stages once again they'll get there by following the lead of two of their most experienced players, Lauren Hoeck who played on the national sevens team and Kathryn Hemlock, who was with the team when they finished second in 2013. Their experience is nicely flanked by a team that has an abundance of youth, with several of the players coming in under the age of 25. NOVA has their work cut out for them, but given the nature of sevens and the talent on their squad don't be surprised if you see NOVA coming through the championship bracket on Sunday. Red River's top seed and the second of the two ARPTC teams to feature in the 2018 national championship is ARPTC's "Blue" Team. They went through Red River qualifying winning two out of the three tournaments and are looking dangerously good. In 2015 they were crowned champions, the following year they finished 3rd; but last year they fell to sixth. If they are to find their way back to the ways of yesteryear they'll look to the leadership of Eagle, Abby Vestal who was on the side that won it all. Vestal may be the seasoned veteran on the team, but there is still plenty of game changers scattered throughout the squad including Gurpreet Dhaliwal. Dhaliwal a native of Canada has been one of the most successful players in Canadian College history. Earlier this year with the University of Victoria she won the Canada West sevens championship and last year she won the national championship. Look for both Vestal and Dhaliwal to be the catalysts for ARPTC Blue's success over the weekend. Another former national champion lies within Pool D, the Scion Sirens. The Sirens were the top team in the country in 2016 and last year made it as far as the semifinals but were unable to win another game after reaching that stage. This year they've been pushed constantly through the qualifying season. Playing in the Mid-Atlantic has provided the Sirens with a high level of competition throughout the season and has primed them nicely for another run at the title. One of the factors to their success this weekend will come down to how their players with international experience perform. Scion is littered with international talent, from capped Eagle Alycia Washington to Irish standouts Aimee Clarke and Daisy Earle. While the two Irishwomen may be the two youngest on the squad, they are both capable of ripping off big plays and breaking the game open and will play a major role in their team's fortunes this weekend. The second seed from the Midwest, Metropolis Rugby, could be one of the big surprise stories this year coming out of the tournament this year. They pushed the Lions consistently over the course of the Midwest qualifying season, however, they did lack consistency. They started their sevens season in fine form winning the first event, but they then slipped to second and third in the next two tournaments, respectively. They were able to sort themselves out in the championship, but they remain a wildcard going into the weekend. They have the talent to take them to deep into the tournament with players like Capped Eagle Libby Berg, and U20 Eagle Katana Howard, but their chances of success hinge on the support that these two receive from the rest of the team. If all seven players are firing on all cylinders then they are a force to be reckoned with. If they don't get a full team performance it is hard to say where they'll go. The women of Boston Rugby return for their third crack at the national title. After their first two attempts proved fruitless, they'll hope that this is their chance to make a run out of it. They arrived at the tournament in dramatic fashion, playing what was essentially a "win and you're in" game against Beantown Rugby. One of the factors working in favor of Boston is their high level of experience. With the exception of one player, all of their team has been playing rugby for at least four years, the majority playing for eight or more. With that a well of knowledge that deep on a team do not be surprised if Boston pulls out some wily maneuvers this weekend and causes and upset or two.